4 3D Pencil Clipart for PowerPoint - Download Free Now! 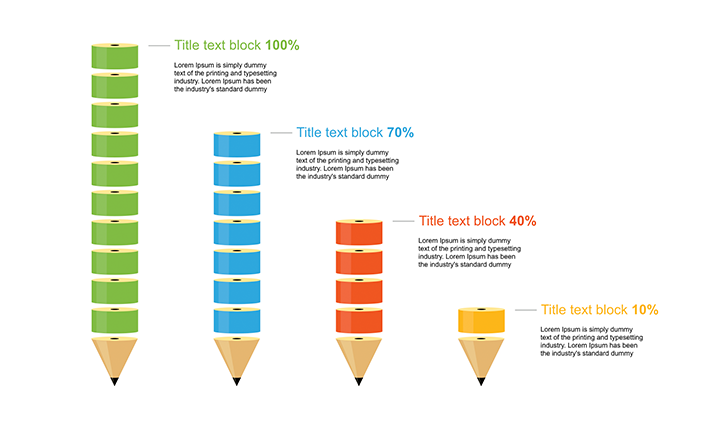 What is the 3D pencil clipart for PowerPoint for? On our site, lots of professional unique elements are represented. Among a great variety of charts, schemes, diagrams, and other elements everyone will find something useful. 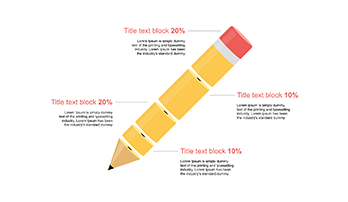 This page is dedicated to 3D pencil clipart for PowerPoint. It is a combination of four multicolored pencils each of which denotes different data or statistics. Thus, the height of the pencil corresponds the figures. 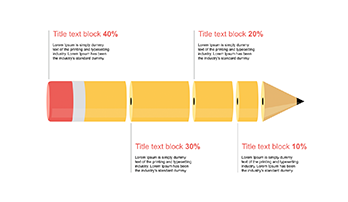 Near every pencil, there is the text block where all the necessary information including the percentage is indicated. Diversify your speech/ project/ site/ etc. 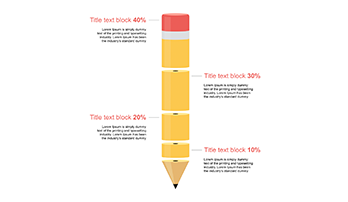 How to make an infographic on PowerPoint? High quality. It is an essential characteristic of our templates. On this site, you won’t find a poor-quality element. All of them are approved. This slide with four pencils won’t cause any trouble and remain an excellent quality. The choice of such a slide is an easy way how to make an infographic on PowerPoint. Moreover, such a unique professional template demonstrates your skills and creates a good impression. Built-in tools. Every pencil has its own color: yellow, green, red, violet. But if such color combination doesn’t match your brand or project, you can easily edit it in two clicks. Other vector elements are also editable. Multipurpose element. As the slide represents the percentage, it can be found in any project/ presentation/ report where there is the necessity to display statistical data or other figures. It is an excellent tool for business, bookkeeping, marketing. Easy-to-use ready-made slide. This 3D pencil clipart for PowerPoint is designed to become your assistant and simplify job responsibilities. Thus, presentations creation will take less time and you’ll save your working time. Besides, the users do not necessarily have to have additional knowledge. As this element is easy-to-use, so even the beginners will understand how it works.